Have you heard about essential oils but aren’t sure how to use them–or even why you might want to use them? I started using them a few years ago with my family and in my home, and I would love to tell you a few of my favorite ways to use them and to encourage you to give them a try! I have a little dog who sleeps in the bedroom with my husband and me. We keep her bathed and trimmed, but let’s face it, she still causes our bedroom to smell not-so-fresh sometimes. To help keep the room smelling fresh and to kill germs, I use essential oils in a diffuser each morning. As soon as my husband and I are up and out of bed, I add water along with a couple of drops each of 2 or 3 essential oils, and I let the diffuser run for at least 30 minutes while the bed is still unmade. Once the diffuser has had time to freshen the air and my sheets, I make the bed. Some evenings, especially after a really busy day, my children and I have trouble settling down and getting ready to go to sleep. It seems that we get stuck in “high gear” and can’t slow down! 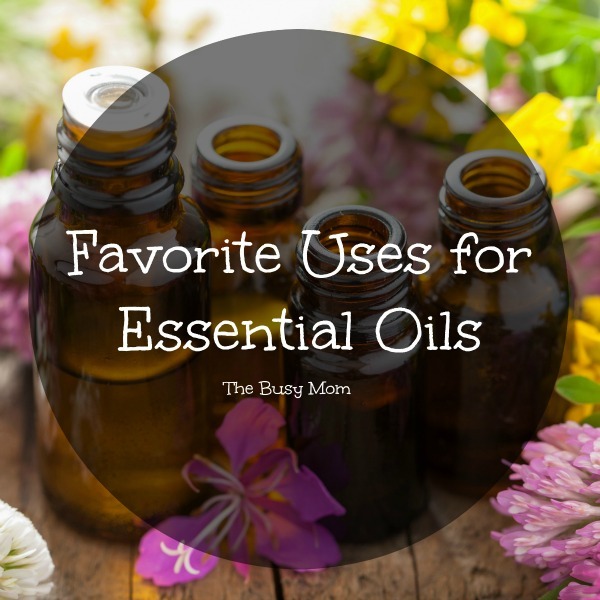 I’ve found that using essential oils in a diffuser in the living room or in each bedroom helps us a lot. About 30 minutes to an hour before bedtime, I put fresh water and a few drops of 2 or 3 essential oils into the diffuser in the living room or the diffusers in the bedrooms. Then we read or do something else quiet while the essential oils help us start to quiet down and relax. My teenage daughter in particular benefits from having a few drops of essential oil massaged into the bottoms of her feet about 30 minutes before bedtime. Lavender and cedarwood work very well for her. Both of these oils can be used neat (which just means they can be applied directly to the skin without being diluted), so I massage a drop of cedarwood onto the bottom of each foot followed by massaging a drop of lavender onto the bottom of each foot. Cedarwood doesn’t smell very good, so we always use that one first. Using lavender second helps get rid of the cedarwood smell. But cedarwood truly helps so much that it’s worth the not-so-wonderful smell! I usually put a drop or two of eucalyptus into the laundry detergent cup right after I put in the detergent. (You can do this with liquid or powder and with store-bought or homemade detergent.) I also often put a couple of drops of orange or lemon essential oils onto a wash cloth and toss it into the dryer with my clothes when I want them to smell extra good! One final way I use essential oils with my laundry is when I make a spray that I spritz onto my clothes as they hang on the clothesline during the summer. I love this linen spray! I know commercials often show clothes hanging on the clothesline and mention how fresh and clean they smell, but the truth is that clothing from the clothesline really doesn’t have a very pleasant smell, so I use this linen spray to make them smell good! When my kids were younger, they loved to spray the clothes on the line! It made them happy to help hang out and bring in the laundry–and that’s always a good thing! To make my linen spray, I mix 10 to 20 drops of lavender (or other essential oil) into 2 tablespoons of witch hazel or vodka. (Essential oils won’t mix well with water, so the witch hazel or vodka is necessary.) Then add 3 ounces of water. Mix well. (I like to shake mine up in a jar with a tight-fitting lid.) Then pour into your spray bottle. This recipe makes about 4 ounces of linen spray. I usually make about 12 ounces at a time in a larger spray bottle so I don’t have to make it as often. Each time I use it, I simply shake the spray bottle to make sure everything is mixed well. Another way I like to use essential oils is to help my children pay attention while they do their school work. I simply put a few drops of peppermint essential oil in my diffuser and let it run in whatever room my children are doing their school work. If I forget, my children will ask for me to turn on the diffuser because they feel like it helps them so much! ONE OF HEIDI’S FAVORITE BRANDS IS SPARK NATURALS, AND YOU CAN USE THE COUPON CODE THEBUSYMOM FOR 10% OFF ALL THE TIME! Do you use essential oils? If so, please share your favorite use in the comments! We’d love to hear from you! In seeking the Best we soon find that our enemy is our good things, not our bad. The things that keep us back from God’s best are not sin and imperfection, but the things that are right and good and noble from the natural standpoint…Very few of us debate with the sordid and evil and wrong, but we do debate with the good. It’s so easy to look at other moms and think they have everything together. Their houses are always clean, their clothes are always washed (and folded, and put away! ), their children always behave, and their kids’ school work always gets done and done well. But that’s not the truth! Years ago, my husband and I built our house. Because of some unavoidable delays, our construction began in August of that year. On top of that, our contractor became very sick and wasn’t able to do his job, so the job of contracting fell to me. The months from August through December (when we moved into our house) were ridiculously busy! We did what little school we could do during the construction of our house, but the main part of our school year happened after we moved in. That meant we did the bulk of our homeschooling from January through May that year. I somehow made it through the school year, but the following summer, everything fell apart. I began suffering from depression and anxiety attacks. I couldn’t sleep and was extremely tired all the time. I think all of the stress I had been under from August to May (when I couldn’t allow myself to “break down” because I was too busy) finally caught up with me. Even though I had finally been able to build and move into the home I’d been looking forward to for many years, I felt overwhelmed and anxious and sad. It took months and months to begin to feel like my “normal” self again. We moms, and especially homeschooling moms, have a tendency to try to do it all! As the quote above states, we let the business of “doing what’s good” get in the way of God’s best for us. It’s not that we are tempted to do bad things. We willingly avoid doing bad things. 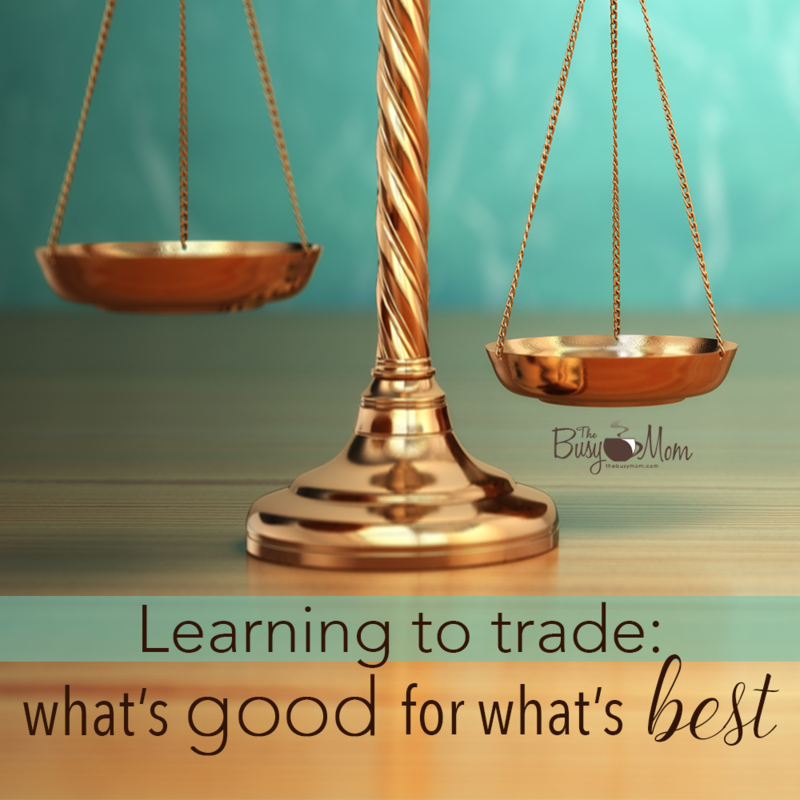 Many times, though, we try to do too many “good” things. I caused myself months of pain because I was trying to do too many good things. I decided before the summer began that I was going to take the entire summer off to rest (as much as a mom can) and clear my calendar of any commitments at all. I knew I absolutely had to have some time to slow down and not do so many things, even if they were good, so that I could get recharged before the next homeschool year began. It turned out to be a wonderful summer. I really did keep my commitment to only those things that HAD to be done–like grocery shopping and house cleaning. We didn’t do lots of play dates or extra-curricular activities or much of anything else except church. Even at church I didn’t commit to teaching any classes or planning anything. I felt terrible about suddenly giving up most of my leadership positions, but looking back, it was the right thing to do for a time. As the new year gets underway, I’m keeping in mind that I need to be sure doing what’s good doesn’t get in the way of doing what’s best. My house is not always clean, and the dishes aren’t always done. Sometimes the school work must even wait until another day. God is speaking to me, though, and letting me know that it’s all ok. My main “job” right now is loving and caring for my husband and my children. The next time you begin to feel stressed and worried and anxious, stop and ask yourself not if you are doing bad things, but if you might be doing too many good things. Then pray and ask God to show you which good things you should lay down and which ones you should continue doing. 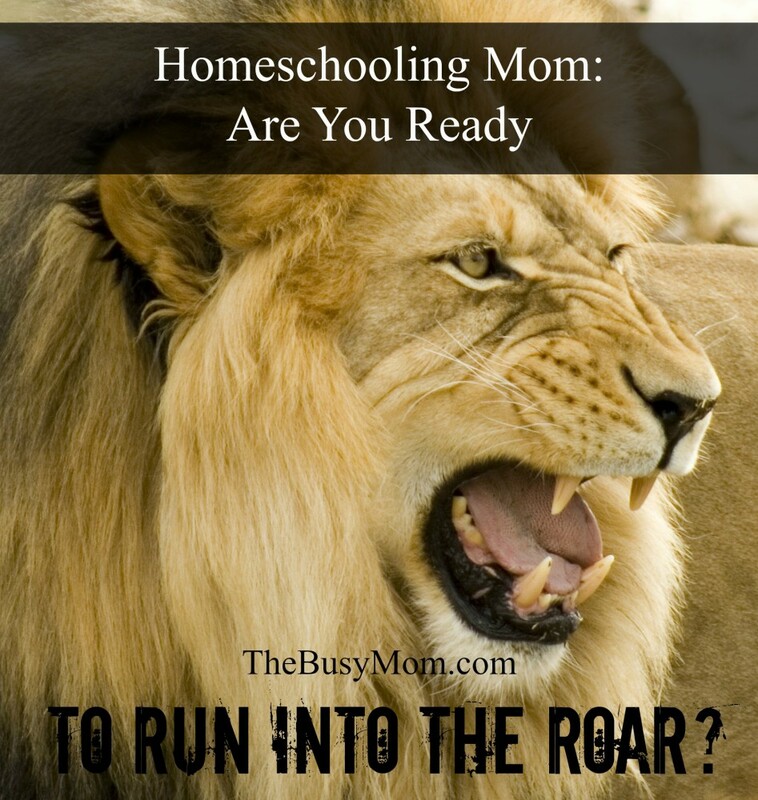 It may be that you are going to too many homeschool play days, activities, or classes. It may be that you are trying to keep the house spotlessly clean. It may be that you have too many leadership positions at church or somewhere else. God can and will show you which things you really should be doing and which ones you really shouldn’t be doing if you will allow Him to do so. Then, you will be in a position to receive God’s best for your family. And that’s a very good thing! One of my favorite things about parents of special needs children is that we celebrate every little bit of progress our kiddos make. We enjoy even the tiniest bits of progress our children make because it sometimes takes them weeks, months, or years to learn to do things that neuro-typical children learn to do in a few weeks, days, or even hours. So when our special needs children finally learn a new skill or even master something such as standing in line at the grocery store without having a melt-down, it gives us a reason to celebrate! It’s so much fun watching our children learn to roll over, crawl, walk, and talk. In fact, we usually take for granted that our children will learn those things and forget how awesome it is to witness the progress our children make from birth—when they can do almost nothing for themselves—until they become young adults—who are able to take care of themselves independently. I remember how thrilled my husband and I were when, at age 4, Hannah finally learned to feed herself! (She was—and still is—very hypotonic, so it was very hard for her to learn to hold and scoop food with a spoon or spear food with a fork.) We were overjoyed when she learned to put on her own socks and shoes. We celebrated when she finally (just a few years ago) began to be interested in and enjoy opening her own gifts at Christmas or her birthday. But none of those experiences were equal to the one we had just a few weeks ago. Several weeks ago, my 20-year-old daughter, Hannah–who has severe autism and is totally non-verbal, finally received her new augmentative communication device. It took us months of waiting and paperwork (and lots of work on the part of her speech pathologist for whom we are so grateful!!) before it finally arrived, so we were thrilled when it was delivered to us! We were also a bit nervous because the communication devices we’ve tried in the past turned out to be very complicated, and Hannah wasn’t willing to use them. In fact, she flatly refused to use them after a while. We began to think that perhaps she just didn’t have an interest in communicating with us and that maybe she was content to point to things she wanted or take us to the things she wanted us to get for her or help her do. We began to think that we’d never have the chance to celebrate Hannah’s ability to talk to us—through the use of her own voice or of a communication device. But thankfully, we were wrong! Hannah’s new device, we call it her “talker” to make it simple, is a lot like an iPad. It has a main screen from which she can choose a main topic. Then, once she chooses a main topic from that screen, it takes her to another screen with more options related to that topic. Once her speech pathologist and I got the device set up the way we thought it would be easiest for Hannah to use, we began showing her how to get to different menus depending on what she wanted to communicate to us at that moment. Immediately, Hannah looked at the screen, searched her options, and reached out to touch the topic she had chosen. Then the three of us—Hannah, Mary Grace, and I—heard Hannah’s new “voice” say, “I love you!” Mary Grace and I then looked at Hannah to see a huge smile on her face and a look that showed how happy she was to have finally been able to tell her sister that she loves her. Of course Mary Grace and I began to cry. For the first time in 20 years, Hannah was able to express in words her love for her sister! It was a moment that I’m sure none of the three of us will ever forget. And you can be sure we celebrated that moment! You see, even though it can be frustrating and tiring caring for a child with special needs, there are moments, just like there are with any other child, that are worth celebrating. There are moments of joy in the middle of the difficult times. There are breakthroughs that allow us to hang in there a little while longer. As difficult as things sometimes are, I’m very thankful for these good times. I’m thankful that God has blessed us with this new opportunity for Hannah to use her “voice” to explore a whole new world that has opened up to her if she’ll take advantage of it. I’m thankful for the chance to share with other parents of special needs children and hopefully encourage them along the way. In spite of circumstances that sometimes seem too difficult to handle, God can and will give you reasons to celebrate along the way. Just as Hannah loves her sister, God loves you and your special needs child. So get ready to celebrate! 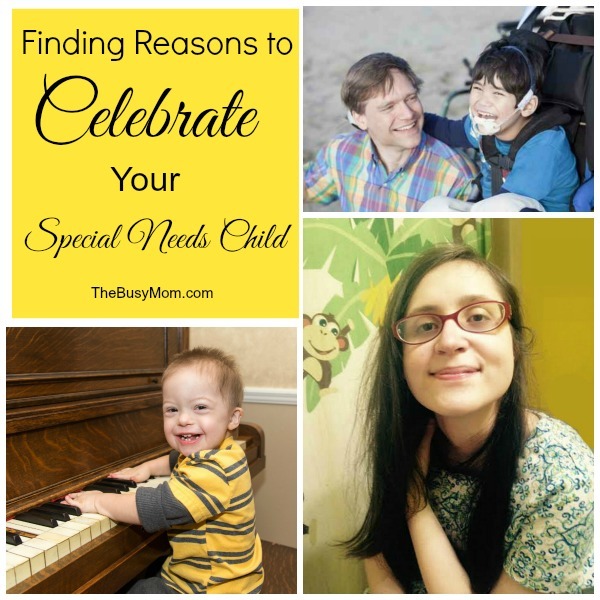 If you have a child with special needs, what achievements are you celebrating recently? Tell us so we can celebrate with you! 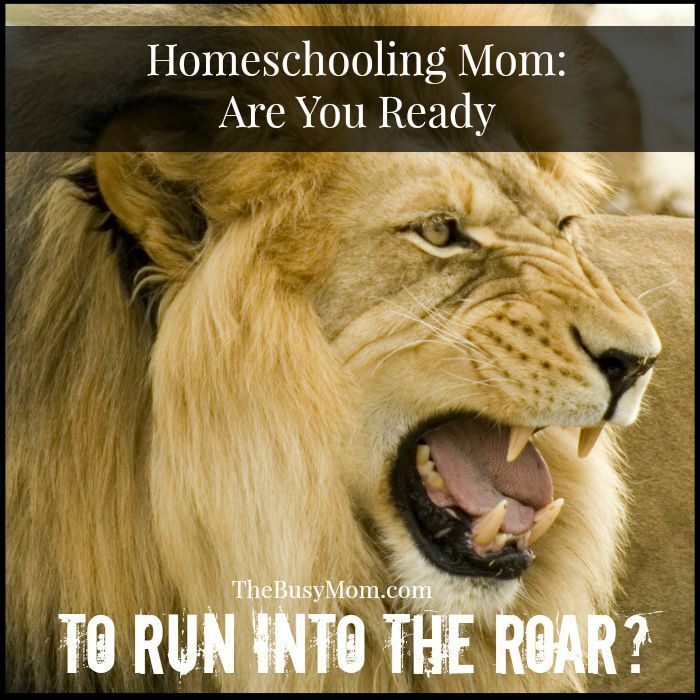 Homeschooling Mom, Are You Ready to Run into the Roar? Female lions are the main hunters. When they are hunting gazelles, they run after them and cause them to form into a group or a herd. Then they run them in the direction of the male lions—whose only job is to roar loudly to cause the gazelles to run back toward the female lions who are waiting to kill them! The moral is that the gazelles who actually live are the ones who run “into the roar.” They are the ones who, though the male lions sound scary, choose to be brave and run toward them and, therefore, away from the real danger. Martin Rooney’s point is that we often have to run “into the roar” in our own lives. It may be easier and more comfortable to run away from the things that are hard for us, but if we choose instead to run into the roar, we will live and thrive! We will reach our goals. We will get in better shape, learn more, eat healthier, better teach and train our children, or reach whatever other goals we’ve set for ourselves. It may seem scary to run into the roar. It won’t be something we’re comfortable doing. It won’t be something we necessarily want to do. But if we do it, we’ll be glad we did in the end! Are there areas in your life where you need to run into the roar? Is there a goal you’ve been wanting to reach but just haven’t quite had the courage to go for it yet? Don’t wait for the new year or for more time or more money or whatever else it is that you’ve been waiting for! Instead, run into the roar right now and make the first step toward reaching your goal! I have plenty of reasons (excuses?!) why I haven’t reached these goals sooner, but I decided to run into the roar and work toward these goals anyway. Instead of telling myself all of the reasons why I can’t do these things, I decided to look for reasons and ways that I can. Just about 5 months ago, I made the decision to run into the roar and reach these goals, and I’m happy to say that I’ve made progress in all of the areas I listed. I can’t say that I’ve reached my goals yet, but I’m definitely on my way. There have been times that I’ve felt discouraged or taken a step backward toward the “danger” of settling for less than what’s best. There have been a few times that I’ve wondered if all of the work involved in reaching these goals is really worth it. There have been times that I’ve thought about quitting because of the work it requires to reach my goals. But then I’ve reminded myself that running into the roar is what’s best for my family and for me. It’s what will help my reach my goals and set a good example for my family to follow. It’s what will make me feel better and be more successful. And it’s what I’m going to do. Running into the roar isn’t the easy way, but it’s the best way! It’s the way that will cause you to finish well. What about you? Are there goals you’ve been putting off because you just don’t think you can reach them? Are you ready to run into the roar? If you’re ready to go for it, please leave a comment here so we can pray for you! As summer gets underway and most children are out of school for a while, the stores, playgrounds, libraries, and other public places get more and more crowded with parents and their school-age children. As I was planning my day and thinking about the errands I needed to run, I began to remember when my children were much younger and had to run all of my errands with me. Because it’s been so long since my children were little, it’s easy for me to forget how difficult it can be to grocery shop with young children! But here’s the real point. Not long ago when I was at the store, I heard a small child having a meltdown. Before I had children of my own, I would have immediately judged the mother of that child. I would have automatically assumed that she must be doing something wrong or that she was too permissive or that she didn’t teach her child to obey or be patient while shopping. 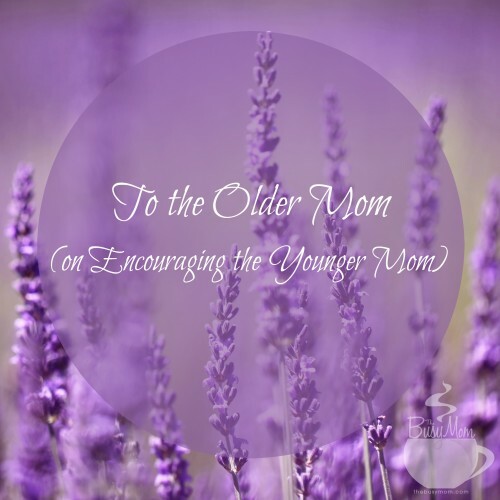 Having been a mother for almost 20 years now has really changed my perspective! And as the mother of a severely autistic child and another with Asperger’s, my perspective has changed even more. Now when I hear or see a mom dealing with (struggling with) a child who’s having a meltdown or a child who won’t take no for an answer, I remind myself to pray for that mom and that child. I remind myself that, even though that child looks perfectly fine and healthy, he or she may be dealing with autism or Asperger’s. Or that child may simply be having a difficult day for some reason. Or the mom may be having a difficult day—and many children “feed” off the mom’s emotions and reactions without realizing it. If I catch that mom’s eye, I smile at her. If I have a chance, I say something encouraging or supportive. Even if all I say is, “I remember when my children were small. It can be so hard sometimes!” that mom knows I haven’t judged her. That I understand. That I’ve been through it too and have emerged (mostly) unscathed. So I’m reminding myself during this season of seeing more mothers and small children out and about to be careful to be understanding. To try not to jump to conclusions. To attempt to give grace whenever possible. To remember those days and how difficult they were and how much it meant to me when another mom smiled and said something supportive. And I’m trying to do the same. Sometimes we moms are so quick to judge. So this summer I’m making an effort to remember that my “job” as an older mom is to encourage younger moms. To set a good example. To be there for the younger moms in my life when they need help or ideas or understanding. What about you? 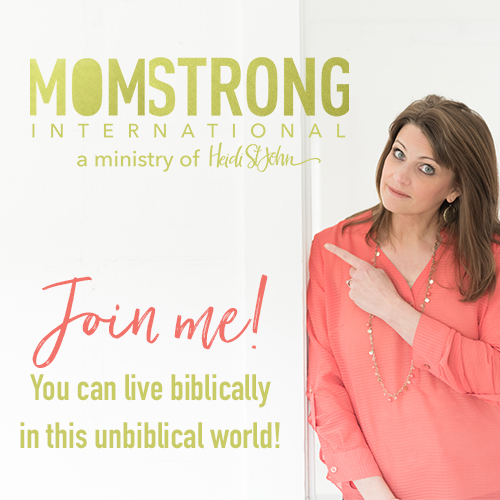 Can you think of ways to encourage younger moms with small children who may feel discouraged or overwhelmed? Whether you have a small idea like the one I wrote about here or whether you have a much bigger idea that will touch the lives of many women, I would love to hear from you! Please comment with your thoughts or ideas! For many children—especially special needs children, but it can apply to typical children too—the arrival of summer can be a little stressful because it often means a huge change in routine. My autistic daughter has a hard time transitioning from our “regular” homeschool year to the less-structured summer months. We usually continue to homeschool over the summer, but because of special summer activities, vacations, and a more relaxed homeschool schedule, there are still some pretty big changes. I put together a list of ideas that I try to keep in mind at the beginning of each summer to help her transition go a little easier. I hope these ideas are helpful to you and your family too! Talk about it ahead of time: One of the easiest yet most important things I’ve ever done to help my daughter get ready for the transition to summer is simply to start talking about it at least a few weeks ahead of time. I don’t go in depth or make a big deal out of it. I simply mention to her that our regular school year will soon be over, and I tell her about a few of the special things we’ll be doing that summer. Let your special needs child help plan a summer bucket list: If your child is old enough and is capable of giving input, it’s a great idea to let your child make suggestions for places she would like to go and things she would like to do. If this is too hard for her, make a list of activities and destinations for her to choose from. Use pictures (cut from magazines or printed off the internet) to show the choices if your child can’t read yet. Then go through the list together and make a list of the things you know you want to do over the summer. Keep in mind that you might enjoy choosing fun hobbies to work on over the summer too! Talk about how much school work you will do over the summer (if any): Let your child know about any school work that will be done over the summer and discuss the best days and times. For example, my daughter likes to know that we’ll do 2 hours of school work each Tuesday and Thursday morning from 9:00 until 11:00 a.m. Younger children may not need you to be that specific, and that’s fine. Older children, though, and many autistic children like to have a more exact idea. Keep as many routines as possible: Even during the summer, we attempt to get the children in bed at about the same time each night, and we try to get them up at about the same time each morning as much as possible. For my autistic child, we keep other routines too. One example is that she gets to play the computer for 30 minutes each morning after she brushes her teeth and gets dressed. These simple routines can make the less structured days of summer seem more familiar. Plan some “down days” to help keep your child from being overwhelmed: Don’t feel like you have to cram every day full of activities! For many children (and parents!) having too many places to go and things to do is overwhelming. Maybe you can declare one day each week to stay home and take a break. Maybe you and your children can read the library books you’ve checked out or play in the sprinkler or even watch a movie together and just relax. You don’t have to go somewhere and do something every single day. It’s ok to have some days at home. Create a calendar of activities, obligations, appointments, etc. where everyone can see it. (Or consider making a more visual schedule. ): Depending on the age and level of functioning of your special needs child, you may choose to create a calendar with commitments, appointments, and activities listed on it, or you may want to post a visual schedule instead. (A visual schedule is simply a calendar or chart with pictures instead of words.) If looking at a calendar showing a month or a week at a time is too overwhelming for your child, you may want to post a schedule each evening that shows activities for only the following day. Try to get together with friends—especially a close friend or two—over the summer: It may be hard for your child to understand why he won’t see all of his friends over the summer like he did during the school year. Be sure he understands that families often go on vacation and do other special summer activities that cause them to be away from home. You might need to explain that his friends will be back even though they may be away some over the summer and that he will once again see his friends on a regular basis when school begins again in the fall. And be sure if at all possible to plan a few special play days when he can get together with his friends over the summer. Create (or let your child help create) a back-to-school countdown chart or calendar: This could be a calendar on which you mark off the days, popsicle sticks in a jar (Just start with one stick for each day of summer break and remove one stick each day. ), or even a paper chain (Similar to the popsicle sticks. Just make a paper chain with one link for each day of summer. Simply cut off one link each day.). If the countdown is something your child can participate in, it will be more fun and meaningful. 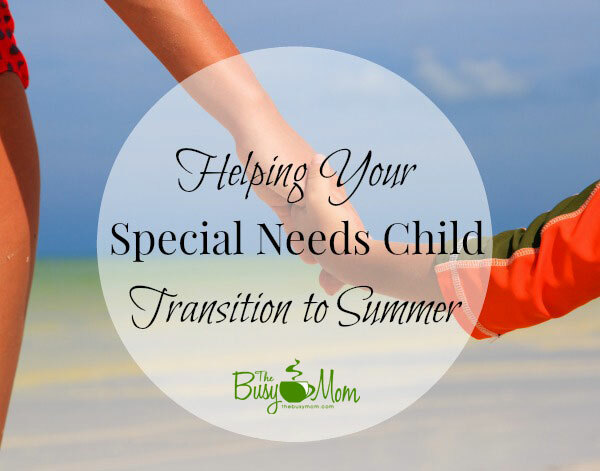 While making the transition from the school year to summer may still be a bit difficult for your special needs child, I’ve found these ideas to be very helpful for my family. Some of the ideas take a small amount of preparation, but all of them can be done easily and without spending a lot of money. And your children can help with most of these ideas, which helps make the transition more real and more fun! Do you have suggestions for helping your special needs child (or typical children) transition from the school year to summer? If so, please share your ideas in the comments! In my almost 20 years as the mom of a severely autistic daughter, I’ve been questioned, judged, accepted, ignored, loved, rejected, and just about everything in between! I’ve also learned a lot. 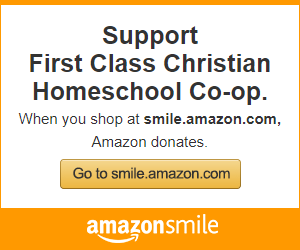 One of the things I like to do whenever possible is help and support other moms of special needs kids. But lately, I’ve realized that a great way to help special needs moms is to share some of my own experiences with moms who don’t have special needs kids and who might feel uncomfortable or not know how to react and respond to those of us who do. So today I’m sharing with you a few tips and ideas that I hope will be helpful. First, please try not to judge us or our children. Thankfully, most people are pretty understanding. There are those, however, who are less than understanding and a few who are downright rude. When my daughter throws a fit in Wal-Mart, it’s not because she’s spoiled. It’s because she has a hard time with crowds, is over-stimulated by all of the products and all of the noise around her, and she isn’t able to tolerate waiting in line very long. But I feel like it’s important for her to go with me now and then because, just like you, I run out of milk and eggs sometimes, and I can’t always find a sitter so I can go to the store. For that reason, she needs to stay in the habit of going with me when it’s absolutely necessary. It’s not much fun for either of us, but it has to happen once in a while. Second, please don’t act like our kids have the plague. Our kids are people just like other kids even though they may look and act different. We know you’re a little nervous around them because you’re not certain what they may say or do. But it hurts our feelings (and probably our kids’ feelings too) when you intentionally avoid being around us or go the other way when you see us coming. It hurts when we see your nervous stare as we pass by. Can you please just smile as we go by and maybe even say hello? It’s ok to look at us as long as you smile. Really. Third, please don’t talk to our children like they’re babies (unless, of course, they are babies), but please do talk to them. My daughter is almost 20 years old. Even if you’re not sure, please talk to her as if she understands what you’re saying (she does). She may not respond, but she hears you. Even though she’s non-verbal and won’t answer you, I’m sure she enjoys knowing that you took the time and made the effort to include her in your greeting, and I appreciate it too. Fourth, it’s ok to ask about our kids, but please be polite. Instead of asking, “What’s wrong with your daughter?” which happens more than you might think, please say something more like, “What’s your daughter’s diagnosis?” or, “Does your daughter have a diagnosis?” I don’t mind answering questions about her, but I feel much better about it when I feel like you’re asking in a polite way. Fifth, there are times when we may have more trouble than usual being cheerful and carrying on with a smile, so please try to be understanding and supportive. For example, our kids’ birthdays can be especially hard for us. When our kids are still getting stuffed animals and blocks for their 16th birthdays, it’s hard for us not to be a little bit sad about it. (I’m not saying that you shouldn’t give our kids those things if that’s what they like. It’s still hard for us, though, to acknowledge that they’re at the stuffed-animals-and-blocks-developmental-level when they’re teenagers.) We’ve dreamed of our children one day being able to do things that are age-appropriate instead of appropriate to their developmental levels, yet we know that day may never come. So if we choose not to make birthdays a big deal or if we seem a little bit sad, just be supportive and kind. Sixth, please resist the urge to tell us that “God gives special children to special parents.” We appreciate the sentiment, and we know you mean it as a compliment, but most of us don’t believe that God loved us so much that He “zapped” our kids. Yes, God loves us. That’s true! But we don’t believe that He’s showing us how much He loves us by giving our kids life-long physical or mental illnesses. Bad things happen to all of us even though God loves us all very much! Because Adam and Eve sinned and we live in a fallen world, sicknesses and injuries happen. So whether or not you agree, please just don’t say it. Trust me. Finally, please don’t tell us that you understand. We know you mean well…really we do. But the honest truth is that you don’t understand because you can’t. And that’s ok. We don’t expect you to understand. All we really want is for you to let us cry if we need to. Let us be sad for a while if we need to. Let us know that you love us and that you’re there for us. You can’t take away the heartache or change our circumstances, but you can help us bear them. You can be our friends and love us just as we are. And we will love you for it. 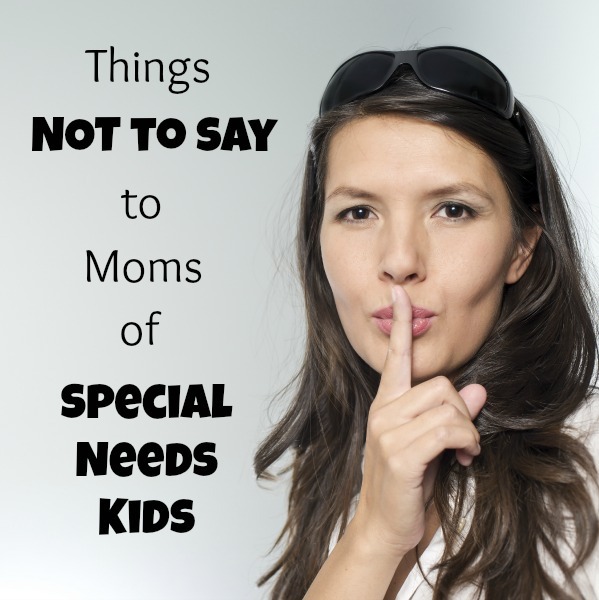 On the inside, most moms just want the best for their children whether they have special needs or not. We moms and our kids are all better off when we support each other, and it’s my prayer that these tips I’ve shared may be helpful. If you have any tips to share, please leave them in the comments!